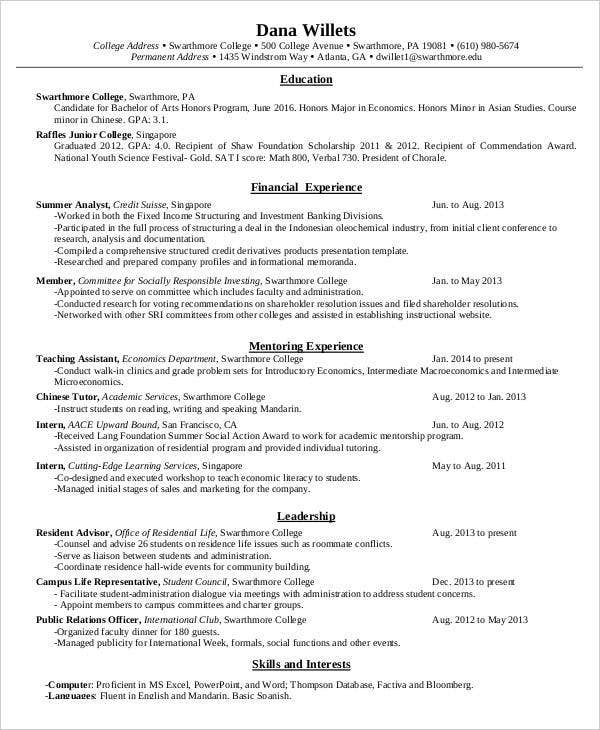 In the course of job hunting, a resume plays a critical role. Nowadays, the academic field is hiring more teachers because of the offshoot of students and changes in the educational systems of most countries. 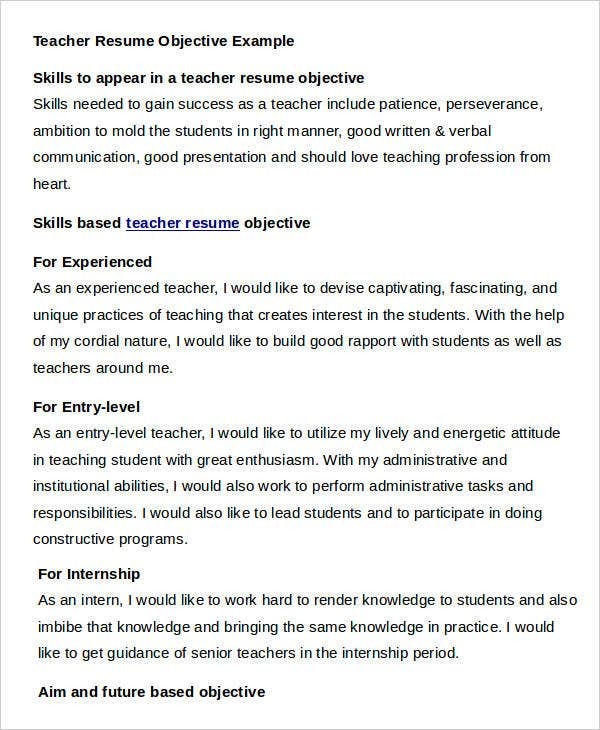 In line with this, aspiring teachers must ensure that his or her resume is not left behind. 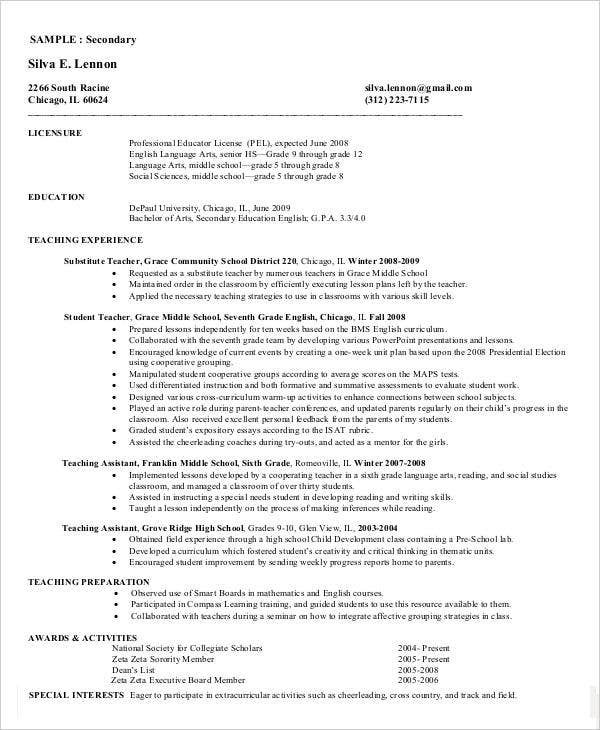 He or she must give a variety of reasons why a school administrator must take time reviewing his or her resume. 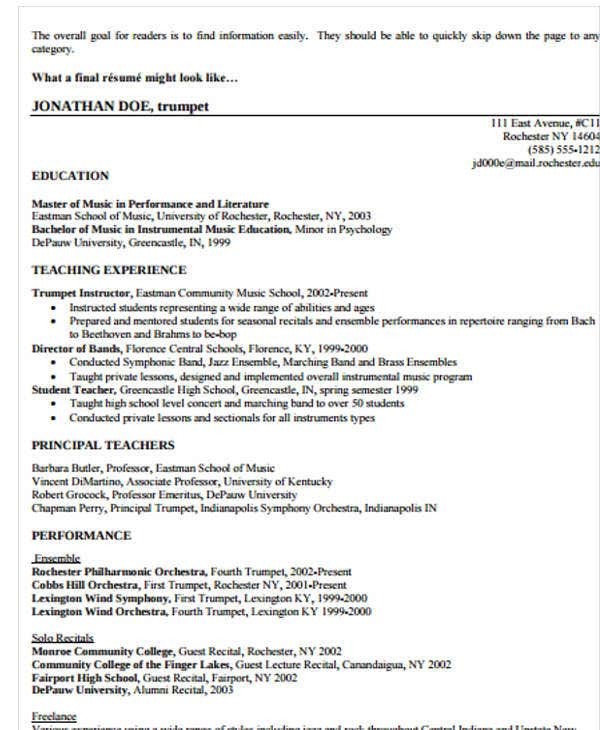 Their resume sample must promote them in so many levels. 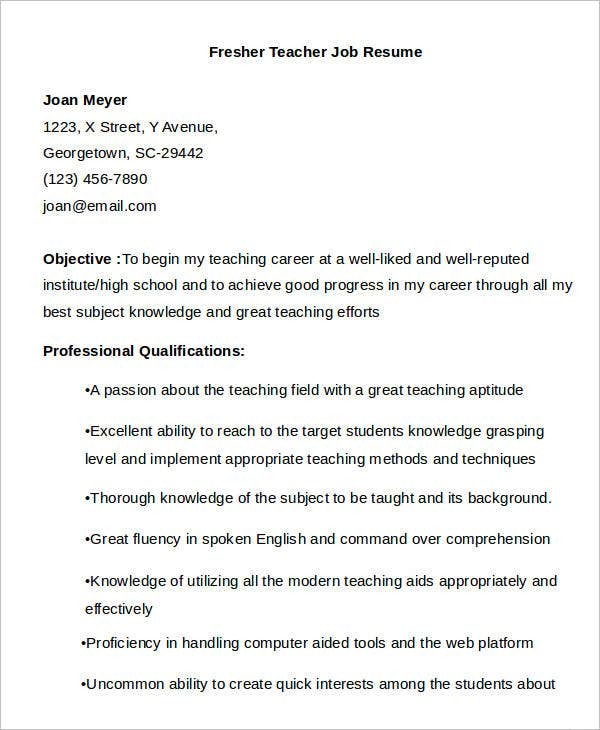 To help you with that, we have here modern teacher resume templates that are of great quality and format. 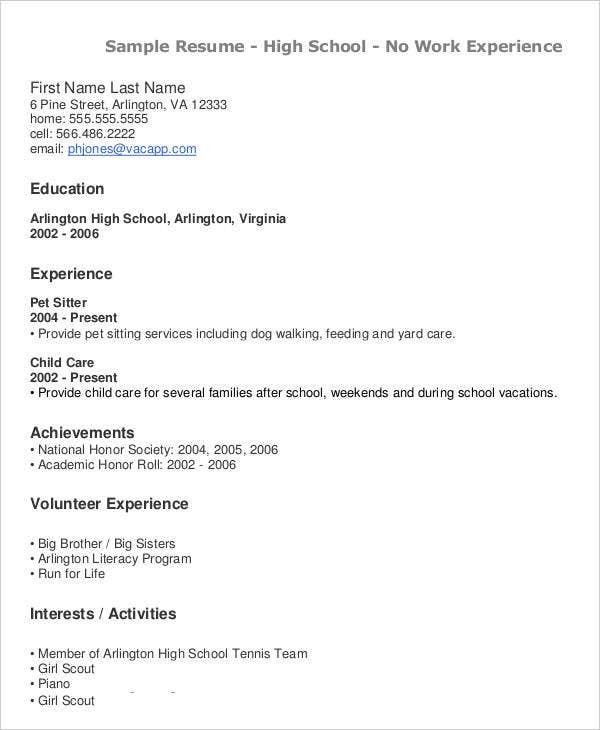 For more resume formats and headlines, you can also check out our links. 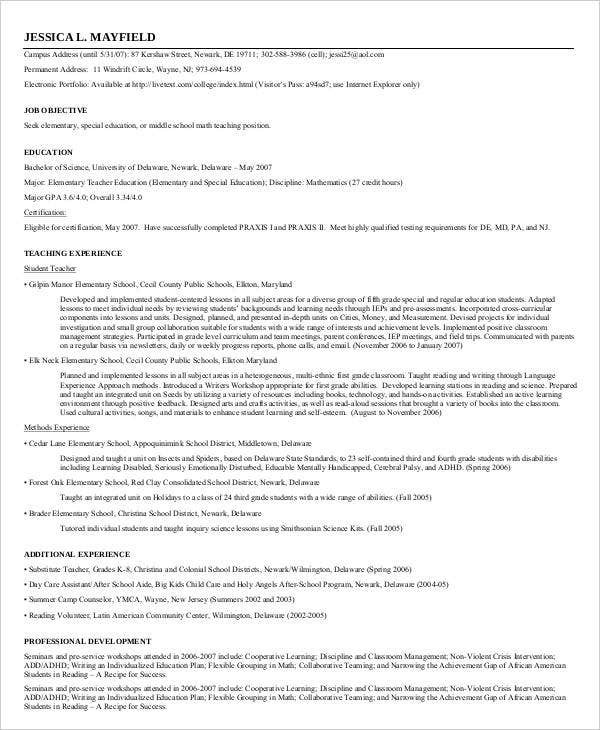 Functional Resume. 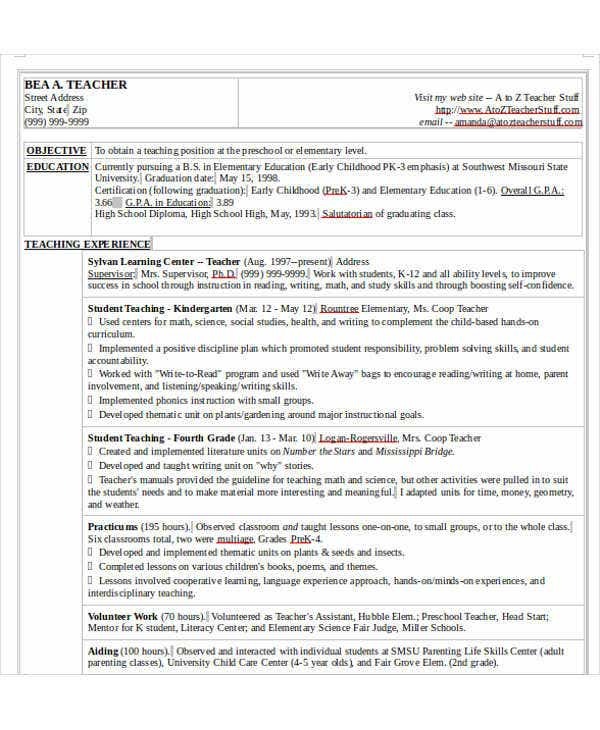 The prime focus of a functional resume is the relevant skills of the teacher. 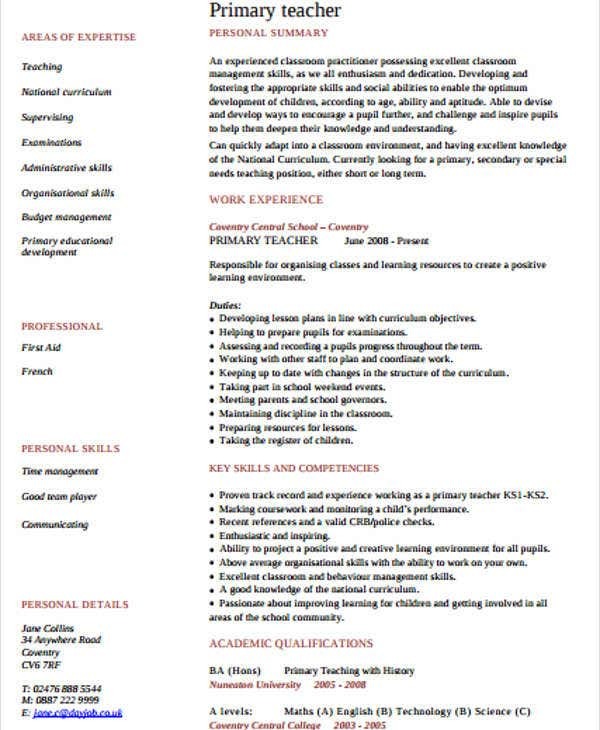 For fresh graduates who are still new in the line of profession, a functional resume can help you capture the eyes of employers. 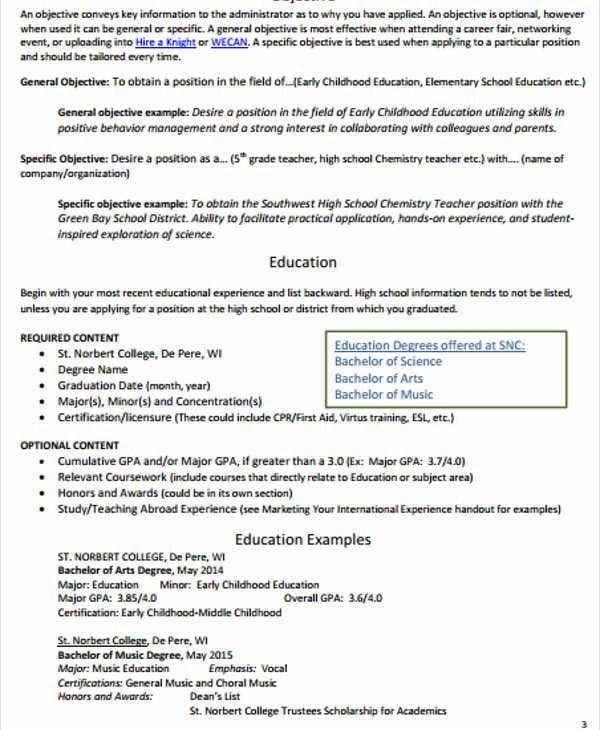 You will highlight your educational background specifically your academic achievements and accomplishments. 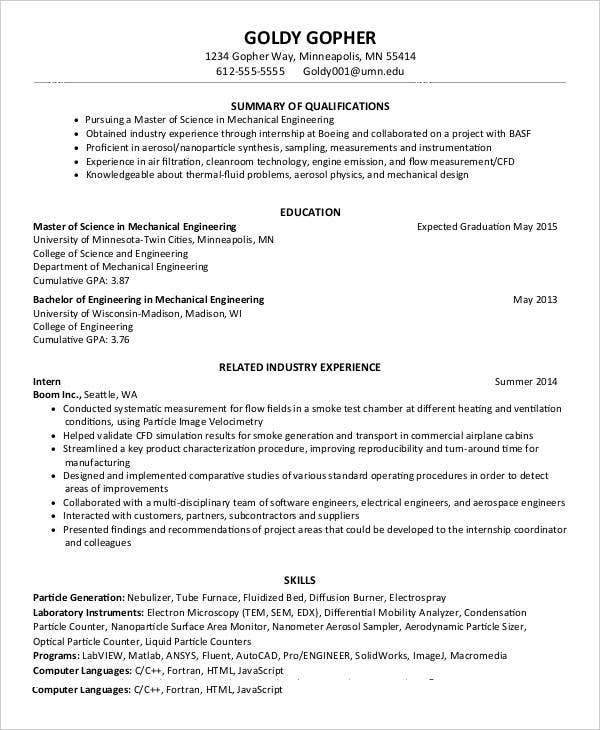 Chronological Resume. 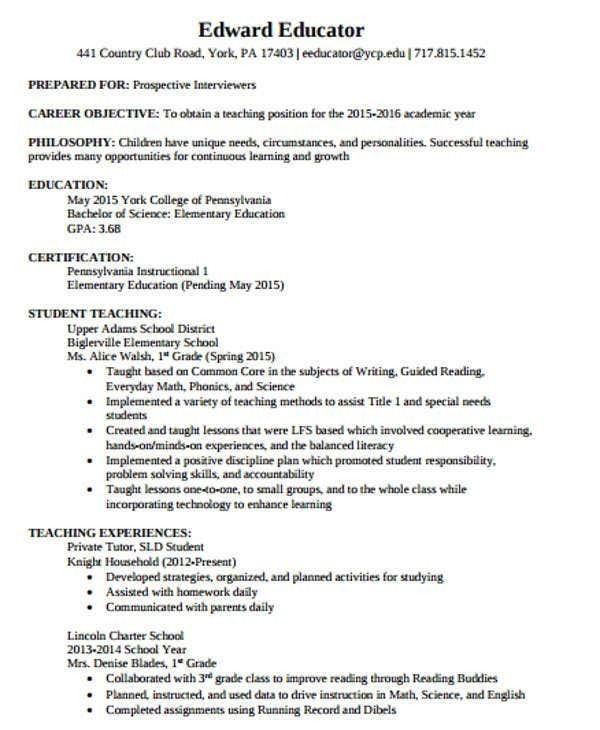 Unlike a functional resume, this type of resume focuses on your work history as a teacher. 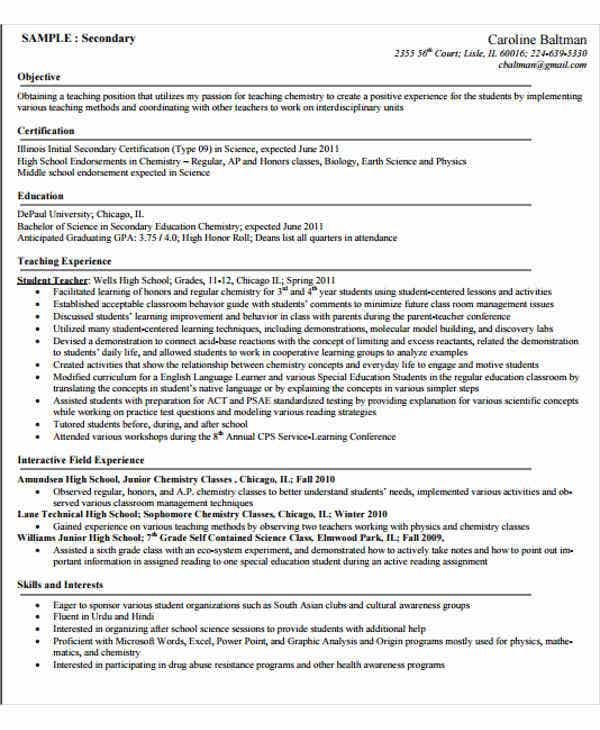 If you’re an experienced teacher who handled diversified students or subjects, this type of resume is for you. 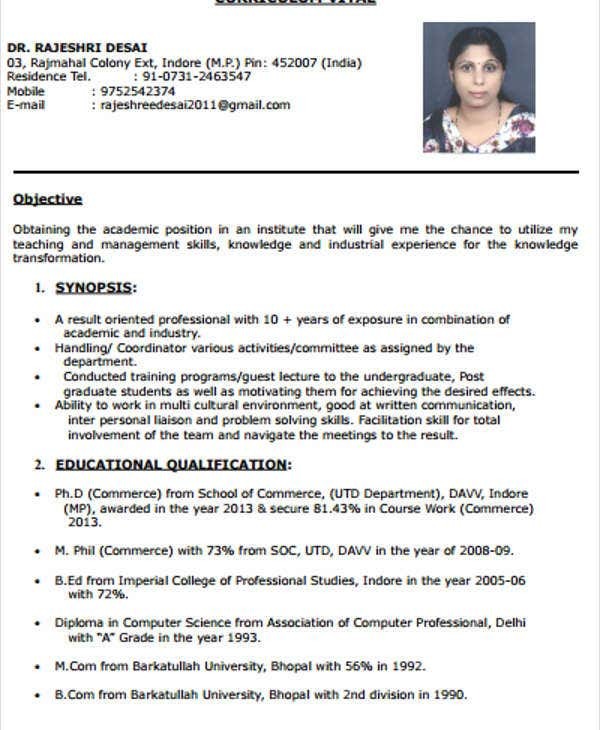 Just present and enumerate your work history in a systematic and formal manner. 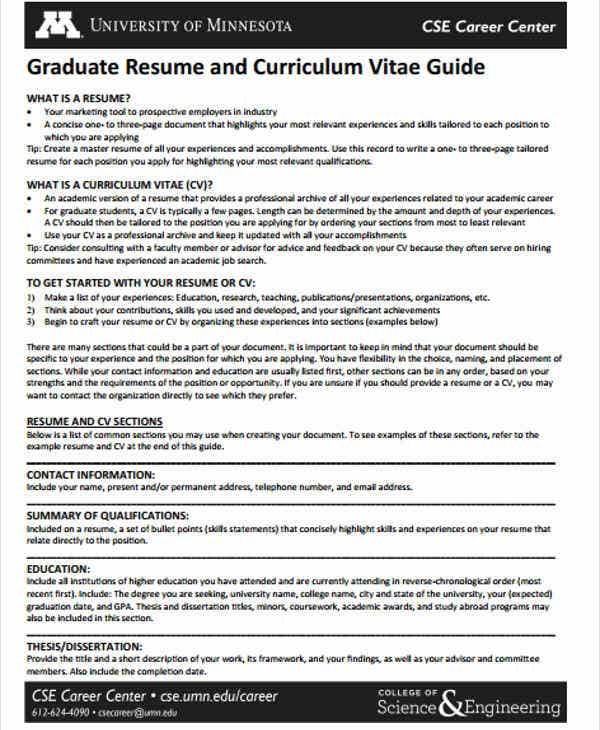 These are just 2 of the commonly used types of resume. Choose the right one that will suit your preferences and qualifications. 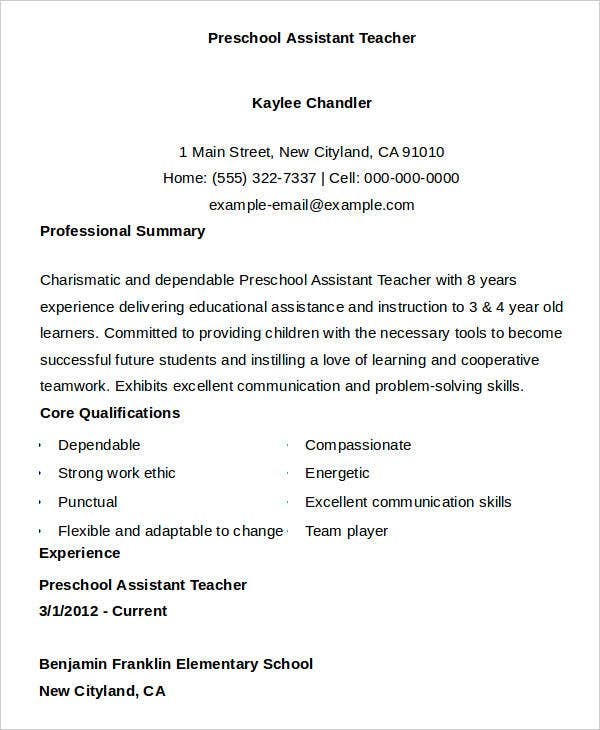 Speaking of various levels, elementary school teachers can browse through and review our Elementary Teacher Resumes which are also formal and of great quality. Present a quantifiable academic experience. 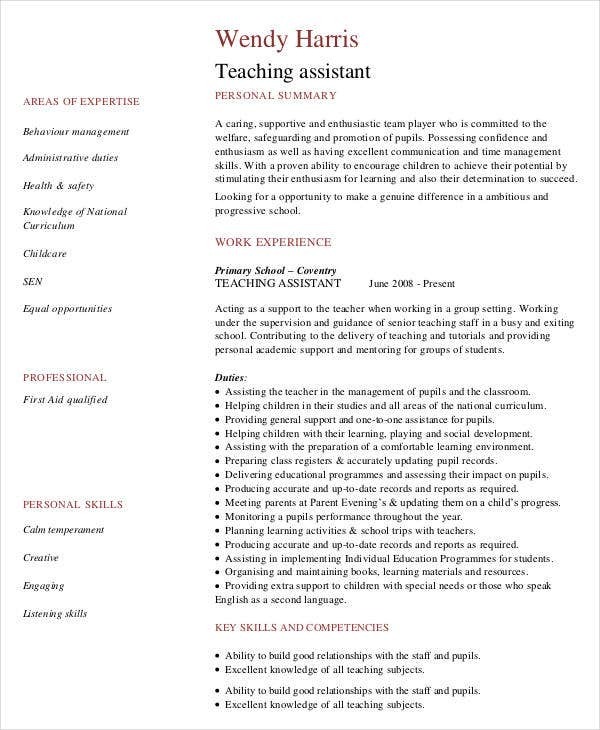 If you’re an experienced teacher, present your experiences in the most logical manner. In line with this, you can make of bullet points to emphasize them more. In terms of measuring ones experiences, you can either present statistics about your test scores or the number and type of students you deal with. Don’t underestimate your certifications. 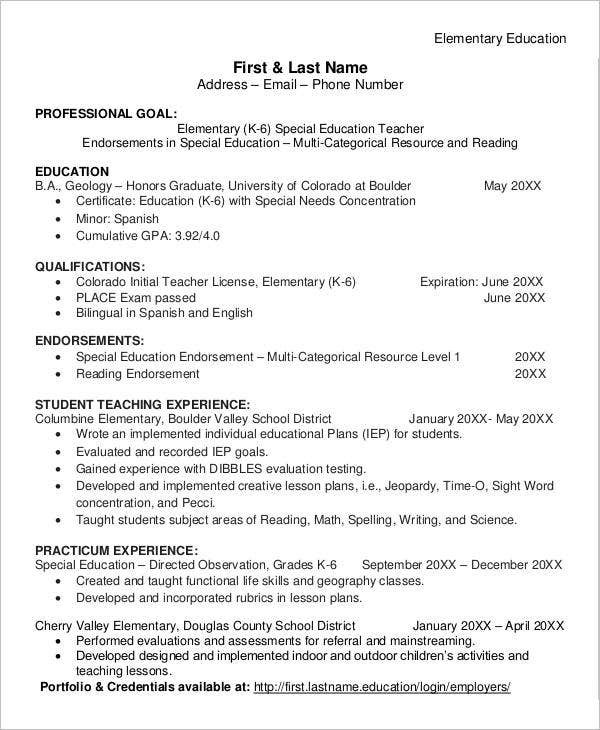 As a teacher, certifications and licenses are very important. 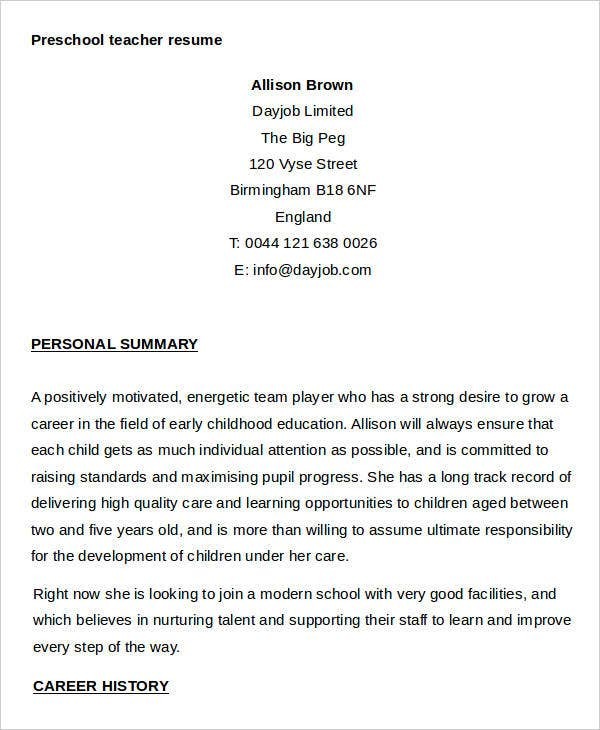 Most employers check on this type of details more keenly. 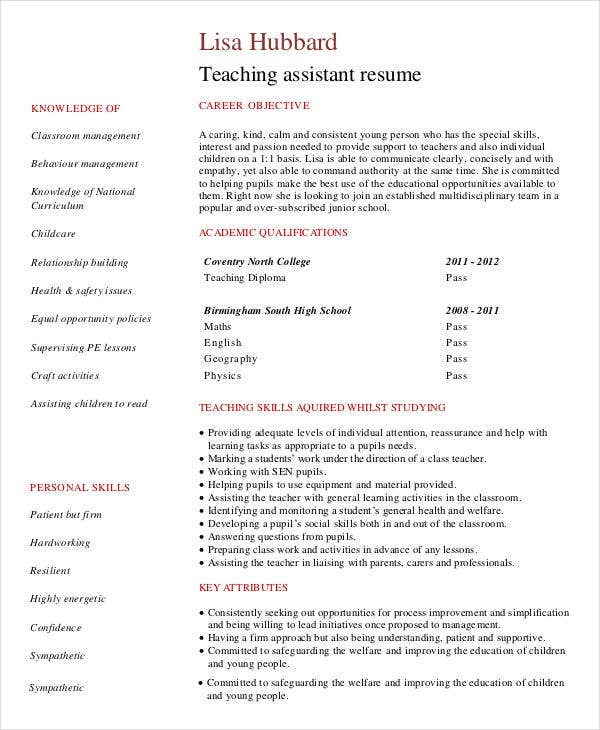 As a teacher, you must know what are the required certifications and licenses required by your country to make your resume more appealable to the academic institutions. Make use of teacher-oriented action verbs. Always remember that the type of words that you used affect the overall tenor and mood of your resume. As a teacher, you can make use of appropriate action verbs such as encourage, teach, tutor, assess, educate, collaborate, instruct, and many more. Showcase your technology-oriented skills. According to research, employers are more inclined in hiring teachers that are skilled or competent with technology. 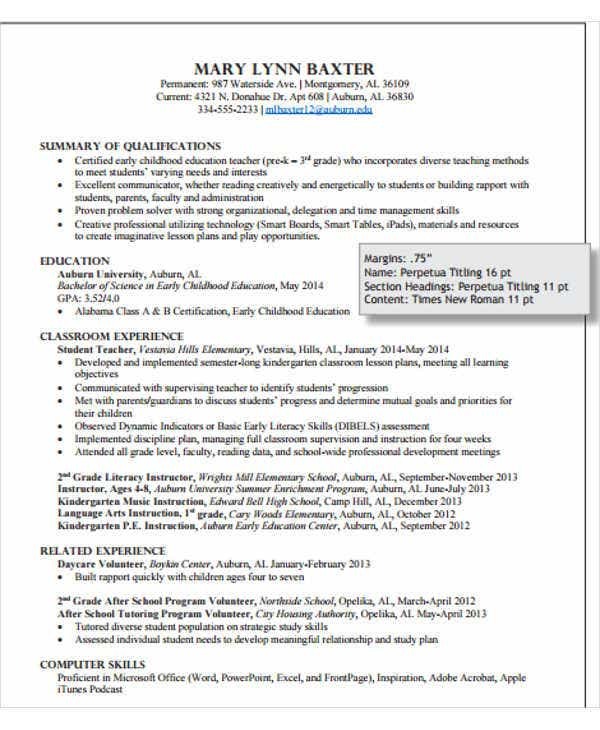 You can emphasize skills such as your proficiency with Microsoft Office tools, research skills, and the like. 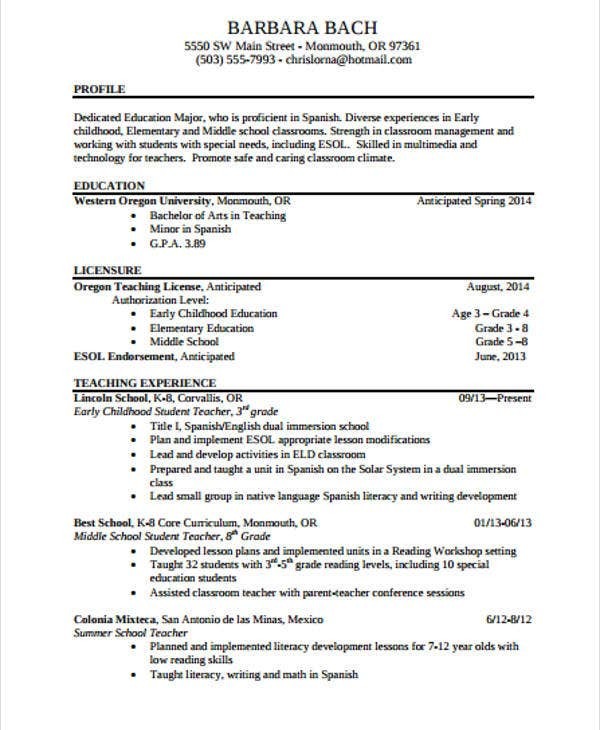 These are some effective ways for you to make your resume more effective and interesting. 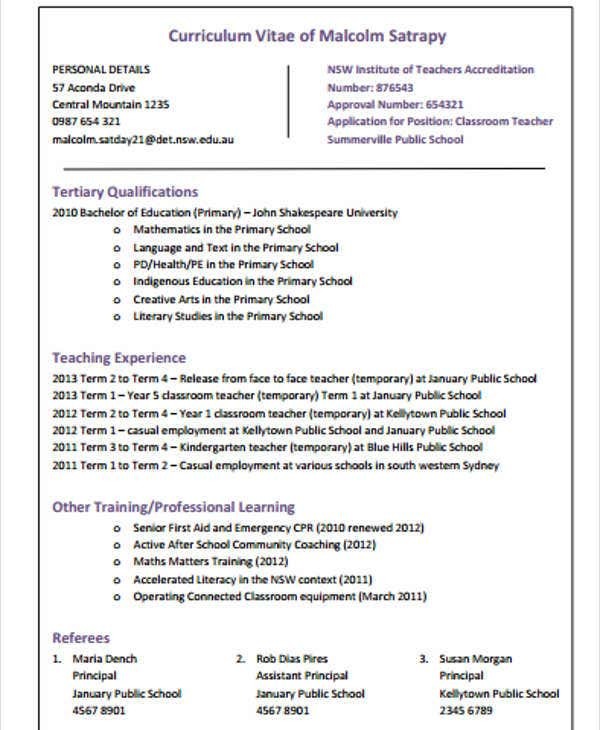 For more specific Teacher Resume Examples, we also have Tutor Resumes which you can review and check out. Notify and acquire the consent of the listed reference persons. This is a cardinal rule that you should remember in writing a reference. It would be very embarrassing on your end if the referred person has no idea that you listed him or her. 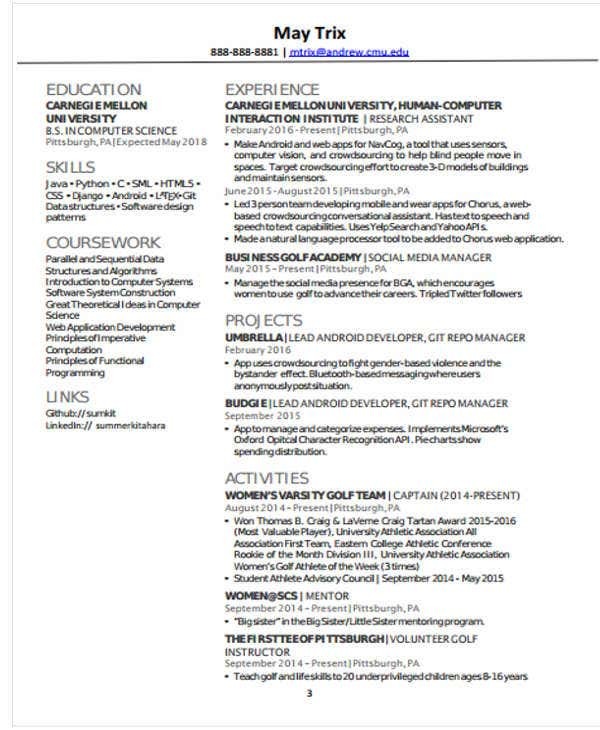 You can even give them a copy of your resume so that you are both on the same page. 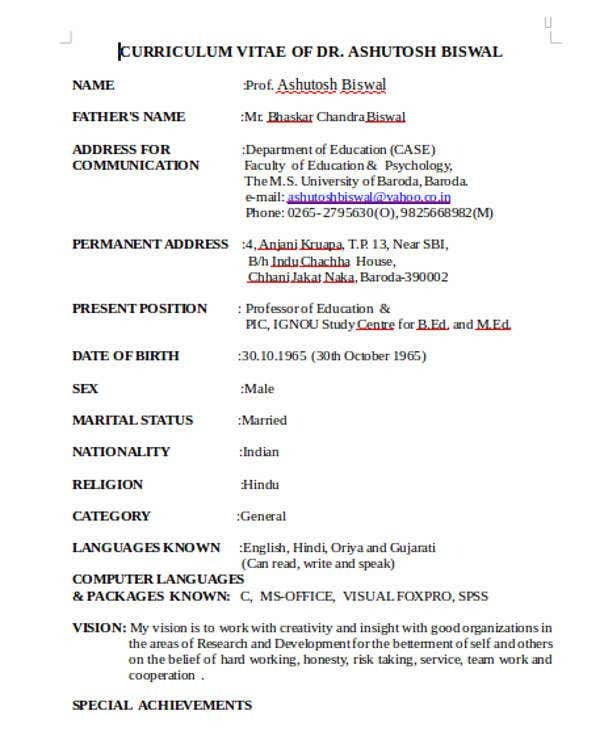 List the names logically. 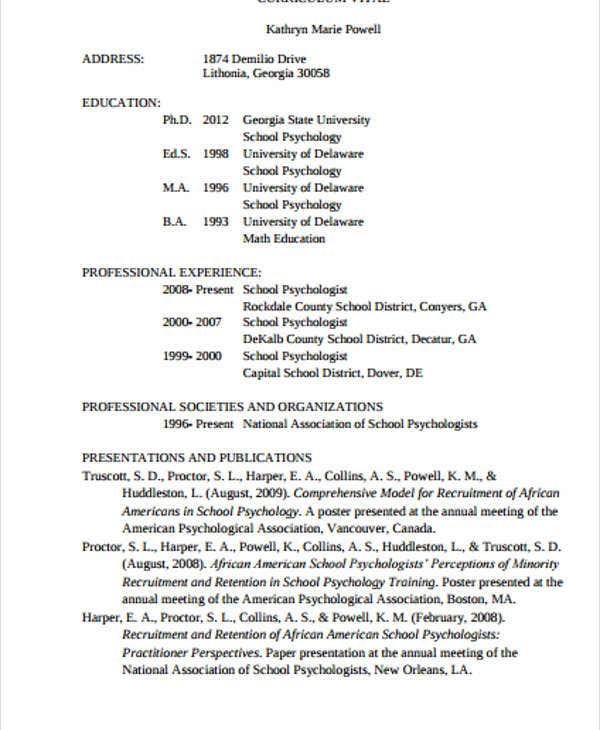 In writing your reference list, you can either arrange them in a manner that you want them to be contact with or the kind of relationship you have with the person. 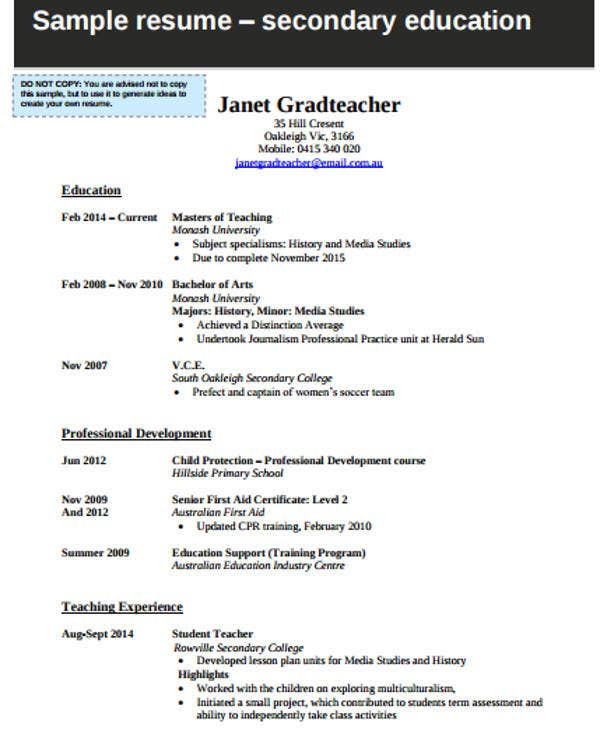 For instance, you can start listing those work-related or professional references. Observe consistent formatting. 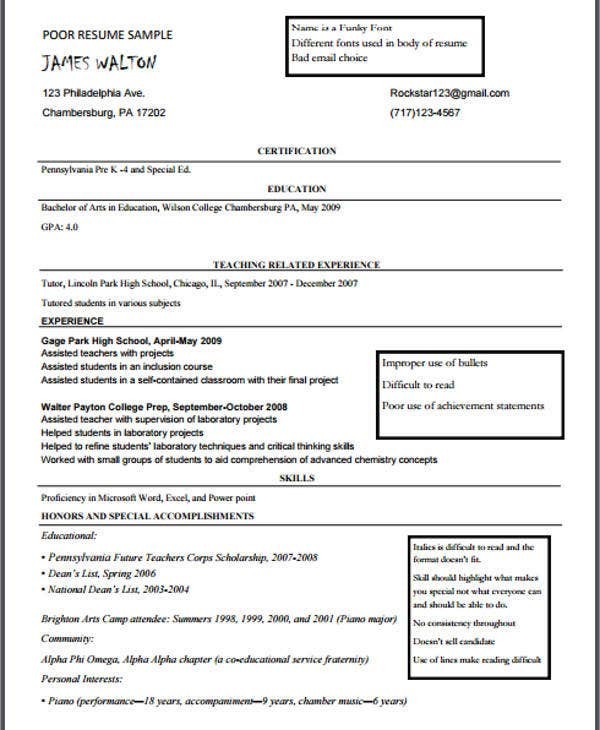 Follow the same font style, format, and quality of paper adopted by the other parts of your resume in order to establish consistency. Thank your references. In order to maintain your professional and personal relationship with them, you can send thank-you notes as a sign of gratitude and appreciation for the time and effort. 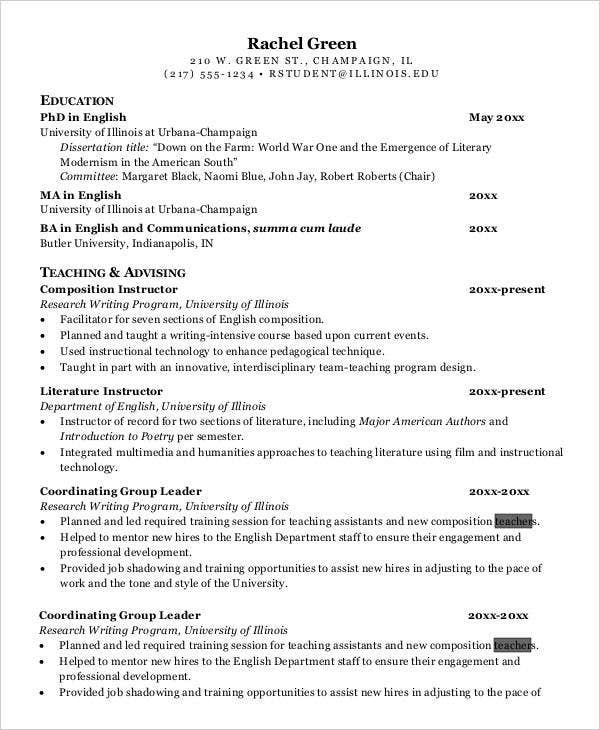 Speaking of references, most entry-level teachers include a reference list in writing their Teaching Fresher Resumes to add more sources and credentials. 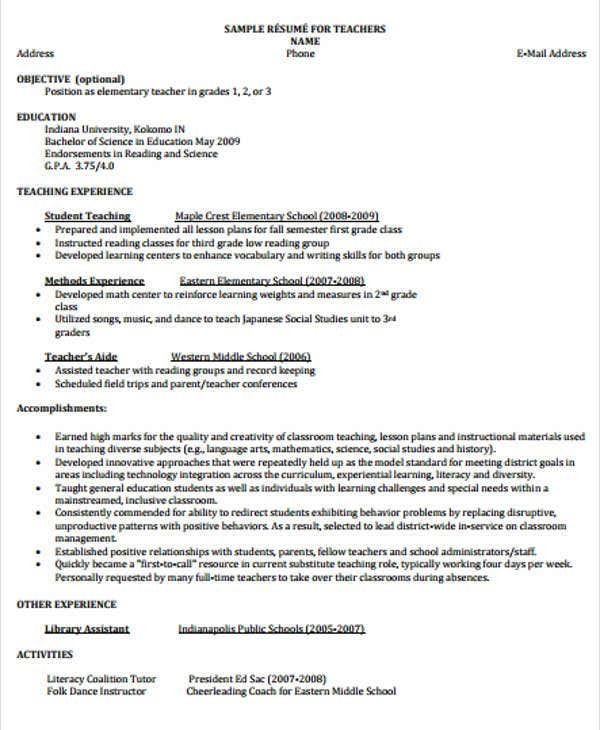 How about a Teacher Resume Cover letter? 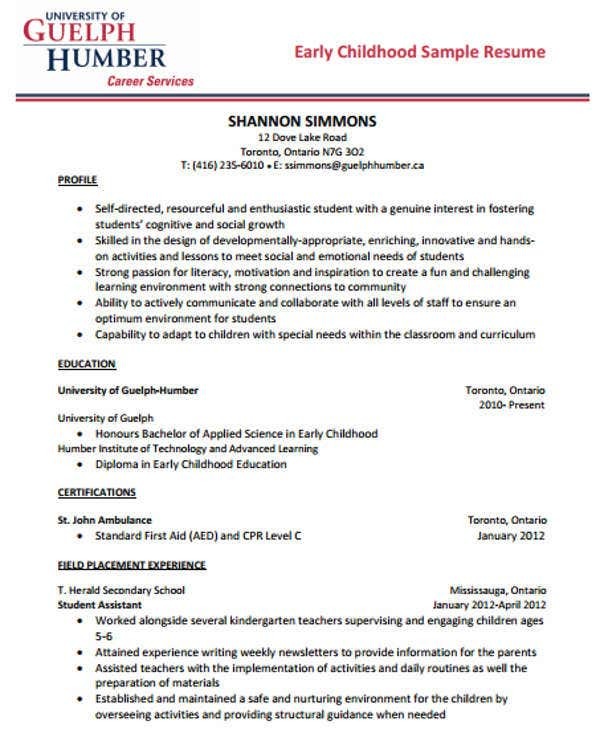 In dealing with resumes, a cover letter is always considered. 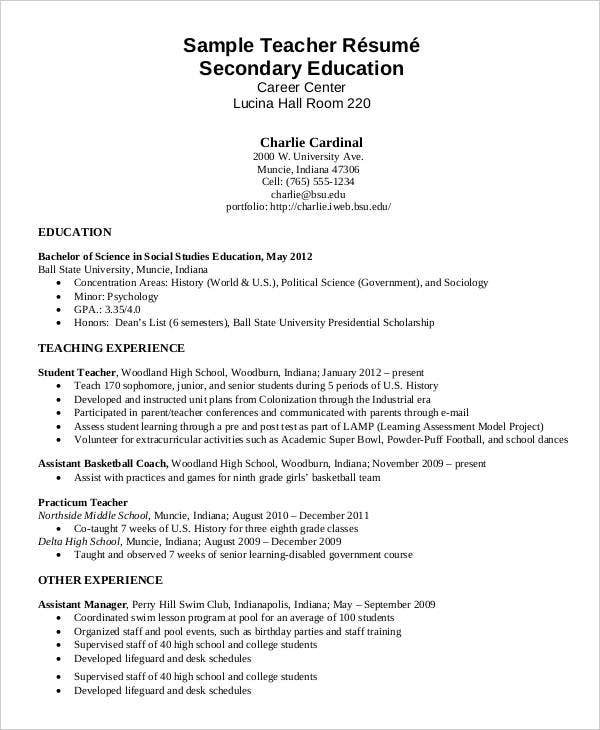 It is not a part of a resume but is essential when you’re drafting your resume. 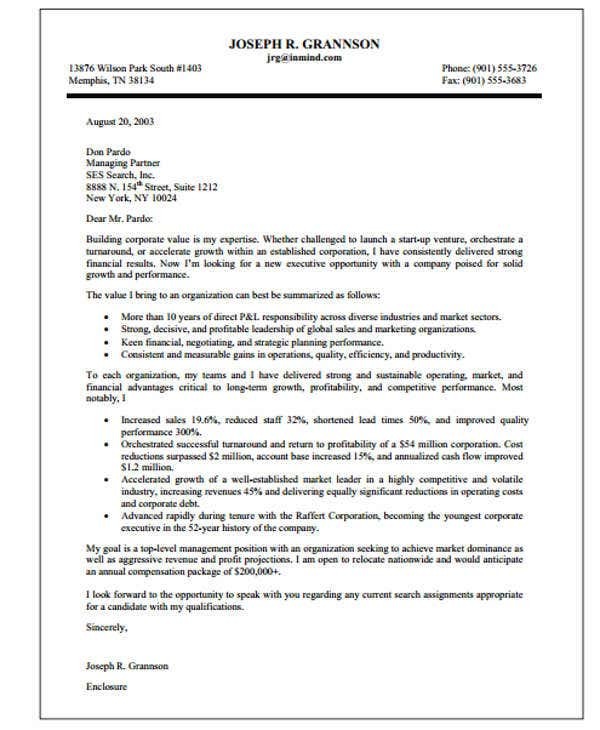 The main purpose of a cover letter is to convince the reader that your resume is worth reading. It is like the front cover of a book that serves a teaser or a quick guide to what is in store. 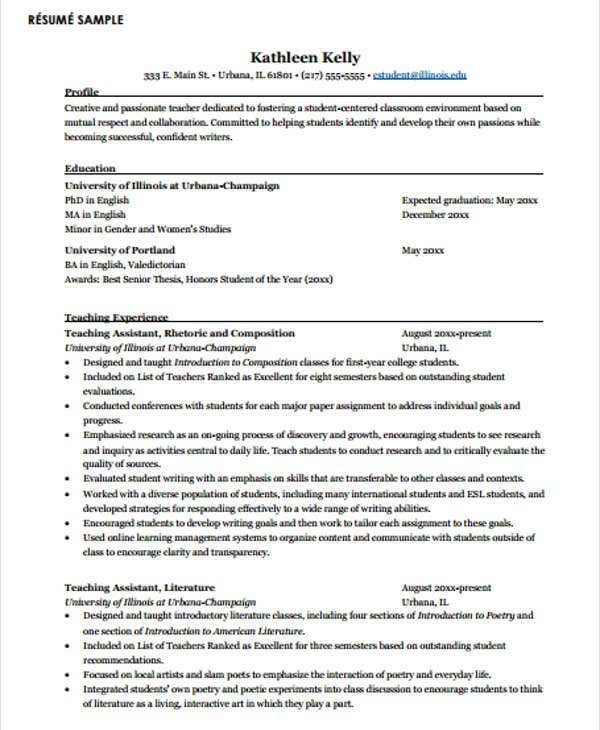 Here some easy points to remember in writing a teacher cover letter that can help you with your Preschool Teacher Resumes, College Teacher Resumes, and the like. One-page rule. 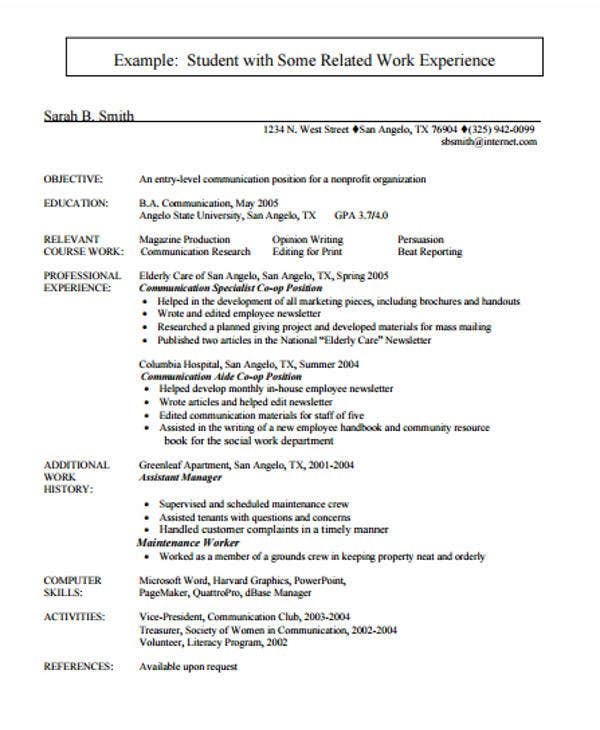 Avoid writing verbose cover letters. Be direct to the point and concise. Consistent format. 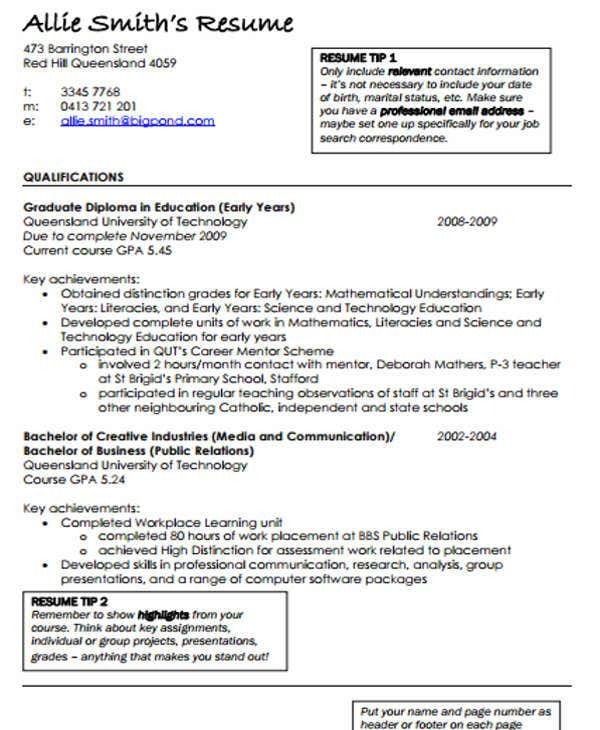 In formatting your cover letter, use the same formatting style used in your resume. 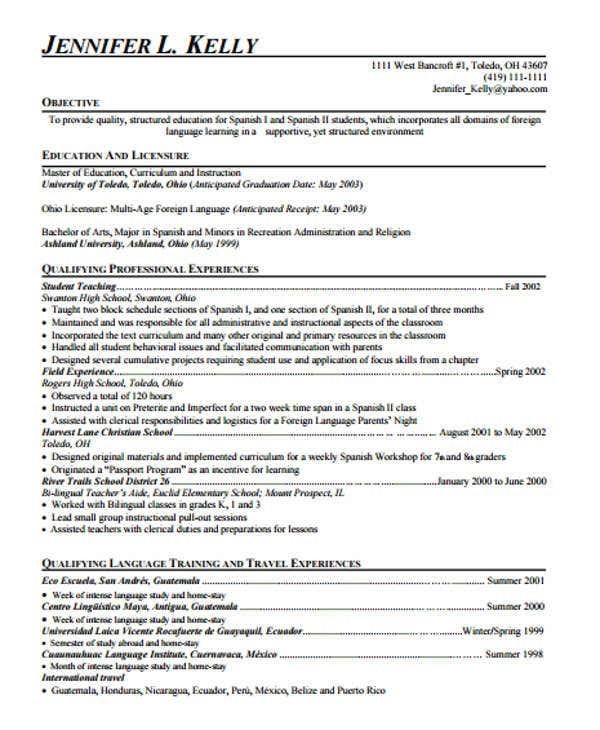 It must empower the resume rather than contradict it. Make some research. Research can help you learn more about the academic institution you desire to apply. It can help you in writing why you are interested to apply to that specified university or school. Follow the format and style of a formal letter. 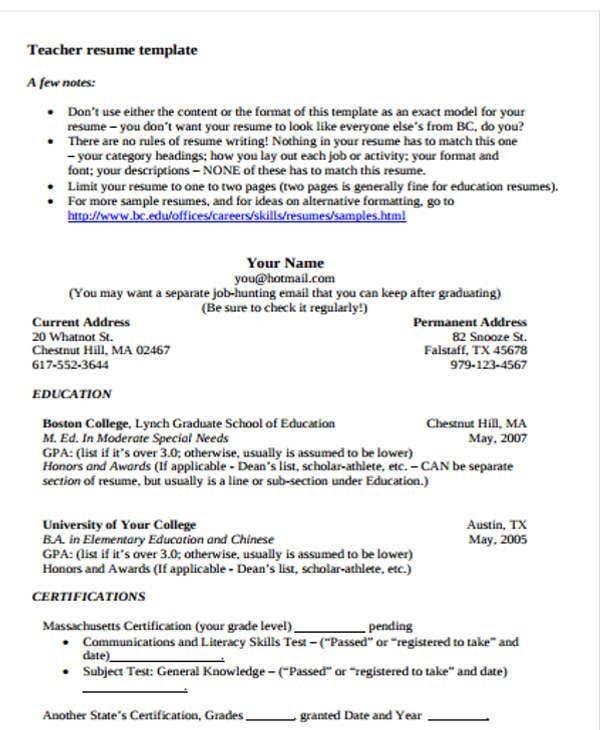 Take note of the basic structure and components such as the header, salutation, your content proper, and the closing or wrapping up of your paper. These are some points for you to consider. 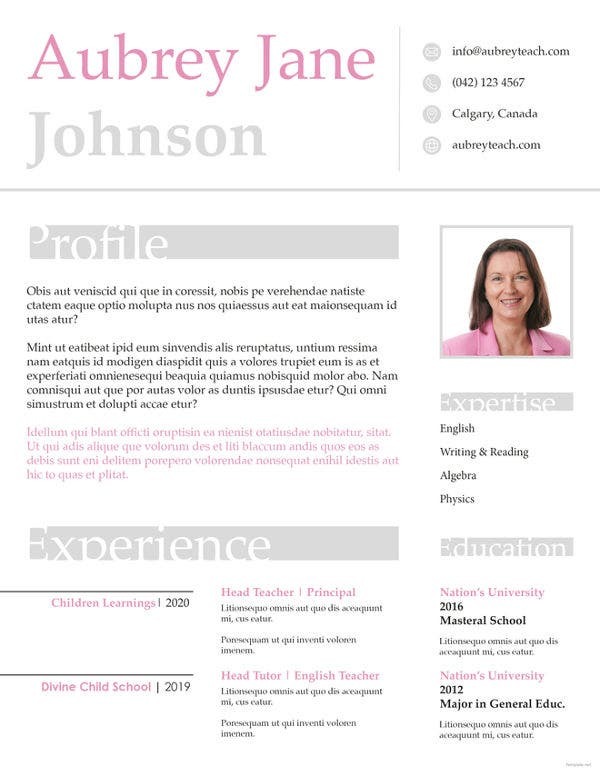 Feel free to review and download our templates.